As I consider Paris my second home, I would like to take the opportunity to thank you a lot for keeping the forum up to date with current pictures not just from Ireland, but also from other countries. It's a pity to see the traditional RATP jade-green being replaced by the utterly plain and uninspired Île-de-France Mobilités livery, which is not only being applied to all new buses throughout the Paris region, but also newly delivered tram, train and metro rolling stock. As much as I can understand the wish for a unique corporate identity of all transport providers in IDF, the result is, in my eyes, rather disappointing. 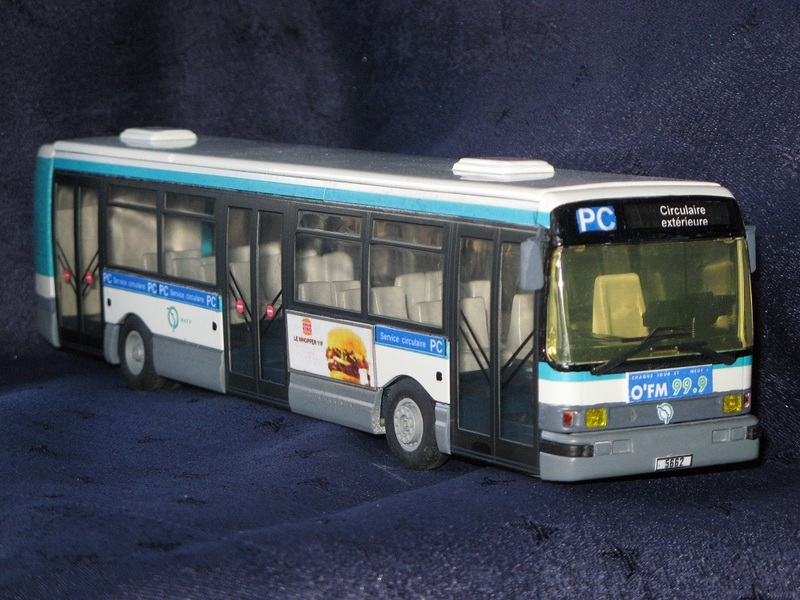 Below as a reminder of the "good old times" an Eligor 1/43 model from my collection of the Standard Paris bus of the 1990s, a Renault R312. I bought it in a rather delipidated state from ebay, the decoration was carried out by myself. THE "PC" bus route is a thing of the past too, it was split into three different services (PC1 to PC3) in 1999, which themselves have been gradually substituted by the circular T3 tram routes. Salut and greetings from Dresden, Saxony to Ireland and Dublin! 1-mal bearbeitet. Zuletzt am 2018:12:10:20:00:41.